2016 should be another big year for franchises. Franchise small businesses will once again grow at rates that exceed non-franchise business growth this year, according to the Franchise Business Outlook: 2016 released by the International Franchise Association. "We are forecasting that for the sixth consecutive year, franchise businesses will grow at rates that exceed the economy-wide growth of industries where franchises are concentrated," said IFA President & CEO Robert Cresanti. "Franchise businesses are showing tremendous capability to provide new jobs for working families and new businesses for first-time business owners across all sectors in local communities, despite the fact that franchisees are facing many new regulatory threats at all levels of government." For the past five years, the average annual job growth in the franchise sector was 2.6 percent, nearly 20 percent higher than all businesses economy-wide. Over the last five years the franchising sector has added nearly 1 million jobs to the economy. The IHS Economics forecast of output growth in nominal dollars for franchise businesses will increase this year by $52 billion, 5.8 percent, to $994 billion. The gross domestic product (GDP) of the franchise sector is projected to rise 5.6 percent this year to $552 billion, adding $29 billion in GDP to the U.S. economy. The franchise sector will contribute approximately 3 percent of U.S. GDP in nominal dollars. Business format franchise businesses cross over 300 business lines that can be categorized into 10 general areas: Automotive, Business Services, Commercial & Residential Services, Lodging, Personal Services, Quick Service Restaurants, Real Estate, Retail Food, Retail Products & Services, and Table/Full Service Restaurants. While the 2016 Economic Outlook shows that all 10 areas will see growth this year, the lodging sector leads the way with 6.6 percent output growth. 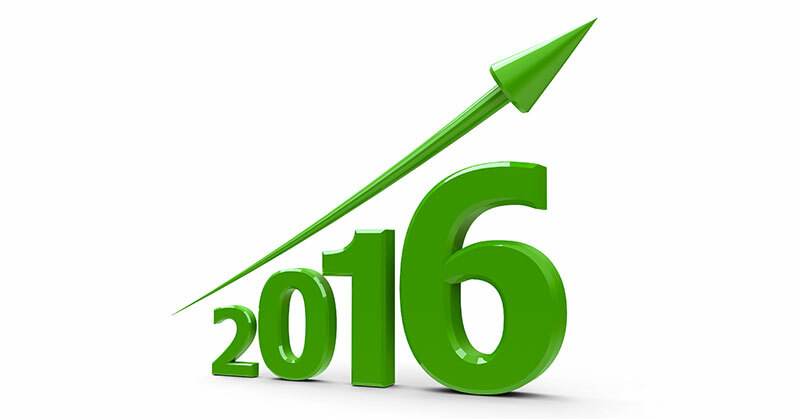 As overall consumer spending maintains a 3 percent growth pace in 2016, the outlook for the retail products & services, quick service and table service restaurant business lines and business services will continue to be among the growth leaders in 2016. While the franchise industry is on track for record growth this year, Cresanti added that government regulations such as the National Labor Relations Board (NLRB) decision to treat franchisors and franchisees as "joint employers" has the potential to erode growth and change the business model over the long term. "Franchise businesses' resiliency in the wake of these threats is a byproduct of the strength of the franchise model itself. However, surveys and independent research show that regulations like the new joint employer concept imposed by the NLRB introduces complexities into the day-to-day operations of local franchise owners and jeopardize expansion plans," Cresanti stated. "Coupled with new overtime regulations and drastic increases in the minimum wage in some areas, franchise businesses are being squeezed from all sides, leaving them shy of their full growth potential. Put simply, the franchise industry could be creating more new businesses and adding more new jobs if government gave balanced consideration to the issue of growth in its public policy work. After all, less new employers equal fewer new jobs." "With continued job gains, consumer spending will accelerate creating another strong year of growth for franchise businesses," said IHS Economics Senior Economist Jim Gillula. "But the uncertainty surrounding this new NLRB standard has the potential to discourage job creation for franchises and millions of businesses that use licensing agreements."